I was once told by my Tatay that teaching can't bring me riches; I could only agree to him but that didn't stop me from choosing the path of one of the underpaid professions. Having wanted to help the family right away, I chose to teach rather than go abroad or take medical school. While I have my regrets once in a while, I couldn't see any other job more fulfilling than being with my students and teach. 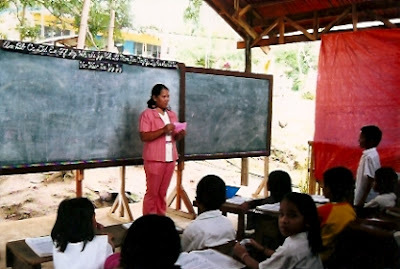 It took my sister more than a decade to realize that one can still make a living out of teaching (with limited job postings for over a 30 - year - old licensed teacher but unemployed). She was assigned in a very remote school of Malapatan that she had to traverse the raging river more than 25 times. If you are a fresh graduate, normally you will be assigned in places where electricity, transportation, and communication is next to nil. 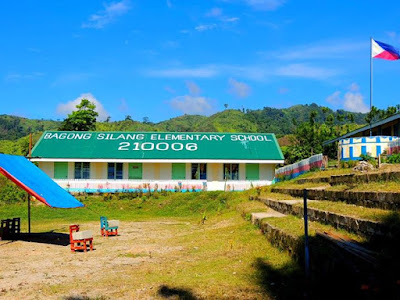 Teachers assigned on mountain schools normally have to leave their own family for several days to reside in the premises of their school and contain themselves with nothing except lamp shades in pitch - dark surrounding, or entertain themselves with nothing but nature. Remote schools or not, this does not exempt newly hired teachers from the ordeal of months without salary. Having reassigned from the mountain to the city meant my sister could be go back to her family everyday, however, being assigned to a school where culture of hostility among the school kids who come from slum areas and poorest families becomes her own personal ordeal. A 60 - student - filled classroom is both a UFC challenge and The Voice TV torment segment for my sibling. For almost three months now, she goes to school without pay but needed to fix her classroom, prepare her teacher's table with soft close drawer slides, some decors, and educational materials for observation and evaluation. This compelled her to shell out from her own savings with least expectation of being reimbursed. Over the years, the salary of teachers have been increased. Thanks to the government efforts of our officials. However, while the national teachers somehow get their salaries on time or at least assigned to nearby areas, the local teachers are often unheard and unaddressed. I could only hope that provincial and city DEPED officials along with the local governments evaluate the status of their public teachers and at least be more sensitive to their needs and pleas. While a monthly salary of PHP 20,000.0 is quite tempting among the unemployed, the duties are also overwhelming. In spite of all these odds, every year the number of new teachers increases. With proactive (re)evaluation of our public teachers, we can heighten too their dignity and self - respect.